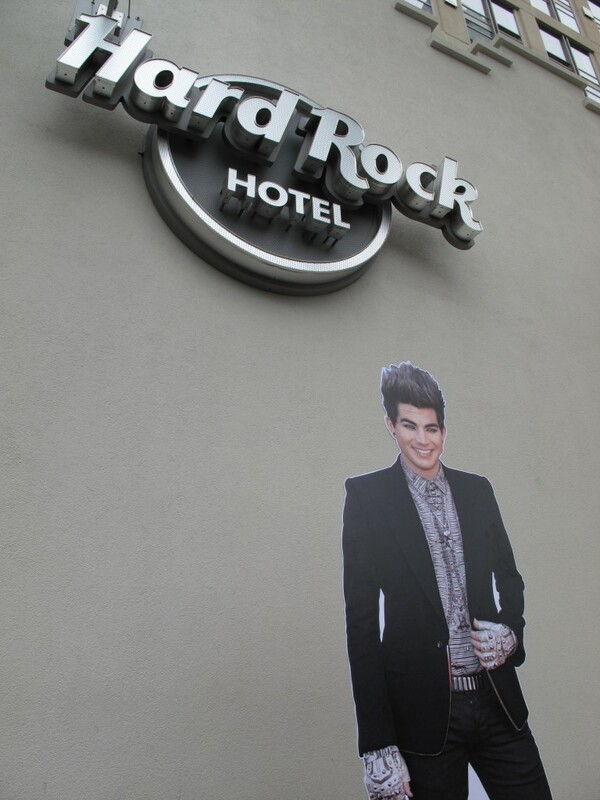 Flat Addy has decided to tour Adam Lambert’s hometown. We’ll take you along for the tour, including places we think Adam must have been! 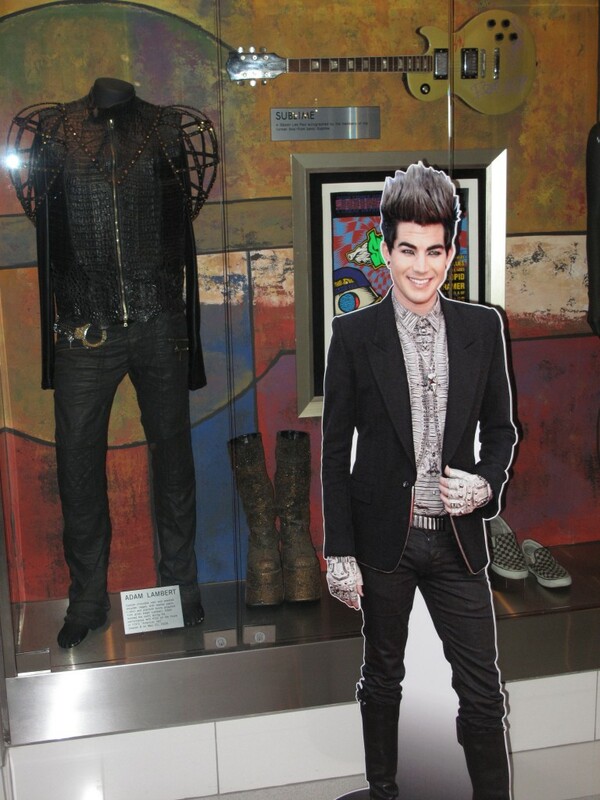 With the previous posting of Flat Addy looking at some of Adam’s cover shots, we think he’s gotten a bit nostalgic. That explains his visit to the San Diego Hard Rock Hotel to visit his American Idol KISS finale costume. When Adam presented it on December 3, 2009, he had the flu and was visibly not feeling so well. So a visit back was called for! You’re very welcome Shirlee! We really appreciate hearing from loyal readers like you! Lol. love your “flat Addy” never know where he’ll turn up next…. Oh thank you so much Yvonne! We were starting to wonder if fans were enjoying our Flat Addy pieces. We try very hard to bring something new to this website that you won’t get elsewhere!